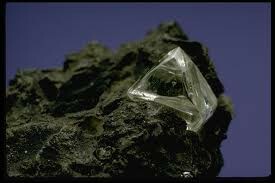 Diamonds are made of carbon, it is crystallised by extreme temperature and pressure. Diamonds take millions of years to form, they form in molten rock that is 160km within the ground, after formed they are carried up to the surface of the earth by rising magma. When the magma cools, pipes of blue rocks called kimberlite are formed, after years of rain, snow and wind the rock faded and crumbles and the Diamonds are released. 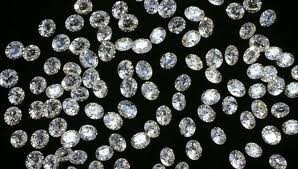 Diamonds are found in many countries such as India (were they were found), Australia, Africa, Ghana and 35 other countries. 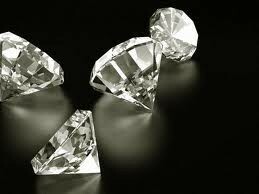 Diamonds are mined from the ground and then they are cut into many shapes and sizes. Diamonds are sold for billions of dollars and are made to fit jewellery and accessories. Each year over 26,000 Kg of Diamonds are mined. Diamonds are priced for their cut, colour and carat. The word Diamond means unbreakable in Greek. 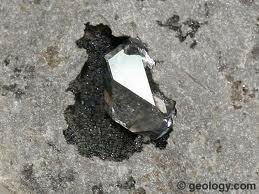 Diamond is the best known thermal conductor among naturally occurring substances. 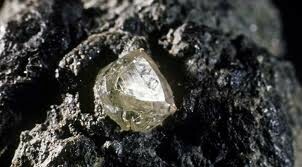 Most of the Earth’s natural diamonds are found in Africa.